Ideally situated in the middle of nature at the gateway to Les Ecrins National Park. 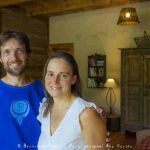 This old farmhouse is entirely renovated with respect for tradition, environmentally-friendly (local and ecological materials, wood heating, etc) and accessible to all. This detached gîte has a mix of charm and comfort, a private terrace (50m²) and a garage. The small Serre-Eyraud resort is 2.5 km away, the cross-country ski trail passes right through the field, which can be used as a landing place for paragliders. The valleys of Orcières and Pont du Fosset and their services are not far away. All kinds of sports (mountain bikes, snowshoes, toboggans, climbing material, arches and paragliders all available), explore local life or just relax in a wood-fired hot tub, there is something to suit all tastes and the owner will be happy to give you some good tips. Fitted kitchen (dishwasher, fridge-freezer, microwave, washing machine), a beautiful living room with sitting area, reading corner and wood burner with views of the surrounding massifs. 1 bedroom with a double bed and an en suite shower room-toilet. Central heating. Garden furniture, barbecue. Broadband internet access. Pets are welcome under certain conditions. When staying less than a week, sheets are 8€. Going on holiday with one or more children is not always easy. That's why we have created the 'loving baby' stay. No need to bring all baby's things and overload your car, your hosts will provide the necessary equipment: cot, high chair, changing mat, etc. The owners will advise you on family activities and outings accessible with a push chair. In some cases they can even arrange babysitters so that you can spend an evening alone together. Because it is not always easy to go on vacation with one or more children, choose the baby tenderness stay. No need to move the baby's room and overload your vehicle, we you provide everything you need to stay with your children: bed, Chair, Park, changing mat, baby, pot, Blender, bottle, a few toys warmer bath... We will advise you on activities and family visits, attractions with a stroller, and give you, in some cases the coordinates of a baby sitter to allow you to spend an evening at two. This single-level gîte offers ground level accommodation. Rooms, bedrooms and bathrooms are all situated on the ground floor. There is easy access and movement within the lodging. The gîte is particularly suitable for young children and handicapped persons. There is one step at the entrance. The setting of the High Alps is labeled tourism & handicap with for all the 4 themes (motor, auditory, Mental and Visual). This you guaranteed an ergonomic and easy to live with a comfortable layout. The cottage is arranged on one level in ground floor, no stairs. Due to its ease of access, it is ideal for families with small children or seniors. Some of the most famous sporting events have taken place on the Southern Alps roads and tracks (Tour de France, Critérium du Dauphiné Libéré, French mountain bike championships, Worldcup, etc.) and the region is nowadays known as a bicycle paradise. The marked itineraries for both mountain bikers and touring cyclists make it a pleasure accessible to everyone. Your hosts make your stay even easier by providing a storage room for your equipment, a repair kit and information. On the roads and trails in the Southern Alps are the largest events (Tour de France, Critérium of the Dauphiné Libéré, France MTB Championship, Cup of the world...) and this region is today known as the paradise of the bike. Roll on these lands is also a pleasure for everyone with marked for ATV or bicycle touring routes. A place to store your material is available, as well as small equipment repair, topos guides and maps on routes. To allow you to discover the paths and trails from the cottage, we put at your disposal of the ATV (men, women and children of all sizes) with of available also: trailer carrying children and baby (and lock and repair keychain) seat. The accommodation is situated near one or more marked hiking trails (PR, GR). The owner provides topographical maps (IGN) and guidebooks. He will be able to advise his guests on the itineraries and can provide a packed lunch (if you take your dinners with him). 250 km of walking routes in the Champsaur top (which many pass at the edge of the cottage) as well as many (700 km) signposted trails in the National Park of the Ecrins. GR 50 passes 3 km. Making available IGN maps and local guidebooks. We are able to advise on routes to follow based on your wishes and seasons. But also a marked circuit accessible to strollers and wheelchair rolling. These accommodations meet with very strict regulations concerning the environment, and are testify to the practice of responsible tourism. The 'Ecogîte' accommodations use renewable energy and are equipped with energy saving devices, they practise recycling and manage water resources. In a typical farm of the Champsaur built of stone and local wood, lodging in respect of the environment in auto construction and by the intervention of local artisans, the heating system and the production of hot water is provided by a boiler wood logs. All of the insulation and finishing work has been made with healthy materials and products. 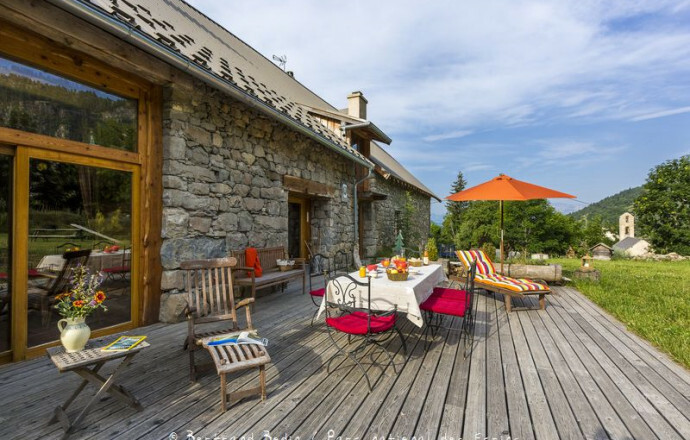 Located close to the great outdoors and on the edge of the Ecrins National Park this cottage allows to discover the ecosystemesd'exception in this beautiful mountain region. As Christmas approaches, everyone prepares for the festivities: illuminated tree, crib and its figurines, stockings hanging from the fireplace… Restaurants with their traditional menus are not to be outdone. Your hosts will be happy to point out local activities and will have decorated the gîte for the celebration. On your arrival: a bottle of champagne, chocolates and sweets. Fully experience the Christmas tradition in Hautes-Alpes. At the approach of Christmas, each prepares to celebrate: illuminated tree nurseries, santons... We will guide you to activities and local entertainment and we have decorated the House for the occasion. Arrival: gourmet basket with specialties and local treats. To fully live the tradition of Christmas in the Hautes-Alpes. The clearest sky in Europe. Situated far away from urban centres and industrial zones, the sky in Hautes-Alpes is spared from light pollution and smog and is considered to be one of the clearest in Europe. These conditions make it an ideal place for the observation of astral phenomena. Enthusiastic locals provide telescopes for public use and organize special tours, sometimes in collaboration with observatories or astronomy associations. Loan of equipment and organization a few times to magical evenings with the association for astronomy, Copernicus. The accommodation is situated near many cultural, heritage or historic sights (museum, fortification, architectural interest, monument or special interest site). Your host, who is sensitive to and knowledgeable about the region, will be happy to provide information and brochures on the subject. Amongst the Hautes-Alpes highlights: the villages of character, the sundials, the bell towers, the mountain villages, the ancient fortifications, the museums (mine museum, ecological museum, ethnological museum, railway museum). A restored chapel is located at the entrance of the property. Possibility to visit us asking the keys. Two large wooden cross traditional of the Champsaur surround the property. 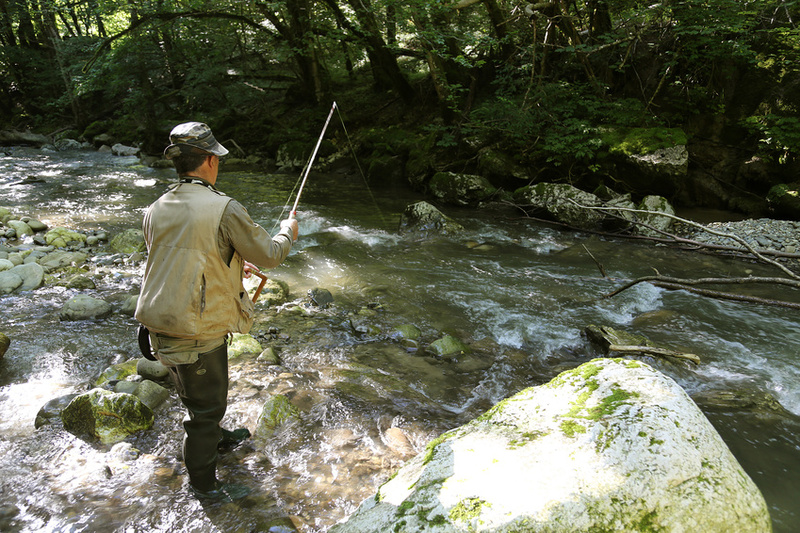 The Champsaur has an exceptional heritage with original and maintained traditions. Whether in the Val du Durance reed beds or the snowy mountain peaks, bird life in Hautes-Alpes is abundant. Numerous lakes allow you to observe aquatic species. You can admire the majestic Griffon vultures in Rosans region where they have been successfully reintroduced. In the mountains you can observe grouse, hazel grouse, the golden eagle, the snake eagle and bearded vulture… Your host will be happy to advise you on observation sites and will tell you all about the species that you can see around the gîte. The ornithological fauna of the Hautes-Alpes is very rich. Many bodies of water will allow you to observe the aquatic species. Here, in the mountains, it will be the grouse, grouse, the Golden Eagle, the bearded vulture and the bearded... We can talk about the species that live in the vicinity of the cottage. An ornithologist has estimated at more than a hundred varieties of birds heard in front of the cottage (the OWL Grand Duke to the Ophrys peak through the bats or the Royal Eagle! A break for lovers. Cosy little nests where you will have no wish to go out. 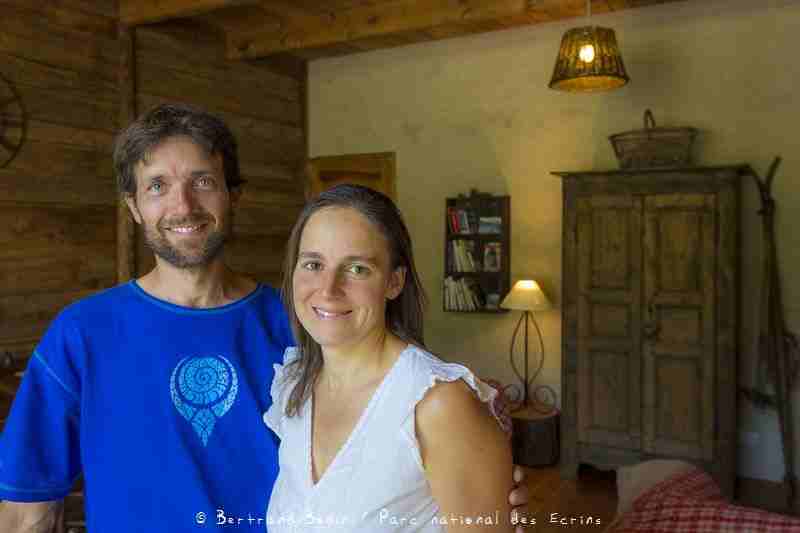 The 'gîtes calins' permit you to re-establish yourselves as a couple for a weekend or longer. Intimate and cosy, they make delightful harbours of affection to share hand in hand, in the quiet of the garden or curled up on the sofa head against shoulder in front of the fire …depending the season. Merlette ski resort is situated above the village of Orcières in Hautes-Alpes. The resort has a superb ski area, its southern orientation assuring sun, and it's a pleasure to ski all day in the knowledge that you can ski all the way back to the resort. For adrenaline seekers there are opportunities to go off-piste as well as the snow park. And after a day of skiing, why not take advantage of the magnificent sports centre with its covered swimming pool. Altitude from 1850 to 2725 m, 44 pistes covering 85 km, (6 black, 18 red, 11 blue, 9 green), 28 lifts. Ski school. Snow garden. Snowshoeing, dog-sleds, ski touring. Ice rink. Snow park. Telemark. Cross-country area 2 km away, meeting place and ski equipment rental. Paragliding. Tenpin bowling, cinema, discotheque. In the Hautes-Alpes, Marshall station stands above the village of New York City. The resort has a superb ski area, orientation ensures a sunshine and it's a pleasure to browse the marked pistes. For lovers of adrenaline or large spaces, opportunities to ski off piste so that the snowpark are to make happy them. And after a day of skiing why not take advantage of the superb sports centre with indoor pool and Sauna. Altitude of 1850 a2725 m, 28 ski lifts, 44 tracks on 85 km (6 black, 18 red, 11 blue, 9 green). Ski school. The snow garden. Walks in snowshoes and sleds, ski touring. Ice rink. Snowpark. Telemark. Cross-country skiing 2 km, home and rental equipment. Paragliding. Bowling, cinema, disco. The massif des Écrins is a large mountain range in the French Alps. It is a wild, authentic, Mountain beauty has been able to be preserved because of its status of National Park. \"Le veil of the mariee\" in the Valgaudemar, the refuge of the Glacier Blanc at 2542 m a.s.l. " in Vallouise, Prapic village in the Valley of Champsaur, the Shepherd House, home of the Parc de Châteauroux-les-Alpes in the Embrunais and the Meije cable car are places not to be missed. The Ecrins massif is a large mountain massif of the French Alps. It's a wild, authentic, mountain whose beauty has been able to be preserved because of its status as a National Park. \"The sail of the mariee\" in the Valgaudemar, the refuge of the Glacier Blanc at 2542 m alt. " in Vallouise, Prapic village in the Valley of Champsaur (at 15 min from the House), the House of the Shepherd to Champoléon (in 10 minutes), home of the Park of Châteauroux-les-Alpes in the Embrunais and the Meije cable car are lux not to be missed. The "eco" Gîtes de France approach allows to reduce the impact of tourism on the environment, to improve the living environment and reduce energy consumption. A écogeste is a gesture, often simple and daily, that each of us can do to reduce energy consumption, and the environment. Reduce the impact of tourism on the environment by simple gestures that will help develop an eco-friendly tourism and reduce energy lesconsommations. Qualified accommodation \"Ecogestes\", the proporietaire undertakes to educate the customer by explaining the overall approach, providing specific information. " It also undertakes to present its own environmental citizen approach. In the undergrowth of the Hautes-Alpes already hangs a smell of mushrooms. Autumn in our Department is again sweet days sunny, flamboyant colors, the Boletus of course, but also the chanterelles, mushrooms, oronges, the mushrooms and other tricholomes... October the Association Mycological of Hautes-Alpes organizes an exhibition with more than 300 varieties of mushrooms to discover and 3 specialists in Gap for information. This owner will make every effort to accommodate fishermen in the best conditions for a successful holiday. He may propose equipment and documentation necessary for the practice of this activity. Absolument rien à redire à propos de ce gîte, le confort y est optimal. Tout était parfait, nous recommandons les yeux fermés!